Paddington Bear Push Up Discounts Apply ! This delightful hand painted wooden Push Up is a favourite pocket money toy! Simply press the base and watch the character dance about. 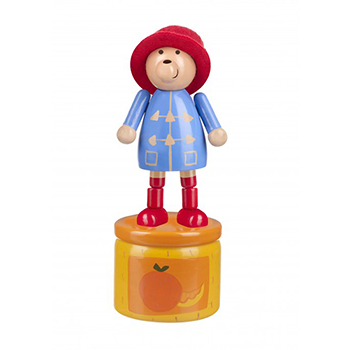 A beautiful wooden Paddington Bear toy, perfect for any fan! . Wooden toy push up featuring Paddington Bear. This toy is for Age group 36 Months + .